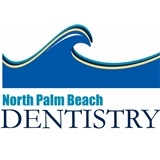 Dr. Paul Perella North Palm Beach Dentistry (North Palm Beach) - Book Appointment Online! Dr. Perella and the staff at North Palm Beach Dentistry are pleased to welcome you to our practice. We strive to provide our patients with exceptional care in a warm and friendly environment. Located in the heart of North Palm Beach, FL, we are proud to be a member of this historic community. PLEASE NOTE: WE ARE HAVING PROBLEMS WITH GOOGLE MAPS. WE ARE LOCATED ON THE NORTHEAST CORNER OF LIGHTHOUSE DRIVE AND US HIGHWAY 1 IN NORTH PALM BEACH.